1. Go to the 11pm parade (2nd one of the night)! This can be harder for families with little kids. But, if you can get a nap in during the afternoon to make everyone last later in the parks, it can really pay off. The crowds are much smaller for the second parade! At the end of the first parade, you can actually snag a curbside seat on Main Street if you time it right – only waiting for about 1 hour for the next parade. But, every area along the route is much less crowded during that later showing. 2. Get a spot by Small World or the Matterhorn. We walked up for the 2nd parade showing at about 10:55pm (with an 11pm parade start time) and managed to get AWESOME spots. We were in the walkway area right next to the Matterhorn (directly across from the Teacups). Even with walking up that late, we only had one row of people in front of us (who stay seated during the parade). So, we were able to get a great unobstructed view, making for some really gorgeous photos too! Other friends have had good luck (even for the earlier showing), along the parade route near It’s a Small World. The bonus if you go there for the earlier showing is that you have a unique viewing point for the fireworks (not the same as a castle view, but still fun). 3. Consider bringing a blanket with you. If you’re wanting a really sweet spot (especially for the earlier time), you’ll need to be willing to wait. To make sure you can save your family’s spot a little more easily (and be a little more comfortable doing it), pack a blanket with you to put down. 4. Be willing to split up. Split up the adults in your party to save seats. One adult can take the kids on some rides while the other one waits. You could even take turns doing that depending on how long in advance you snag your spot. 5. ASK cast members! Not sure where to go? Want some help finding a good spot? Ask the cast members. They are usually SO helpful! 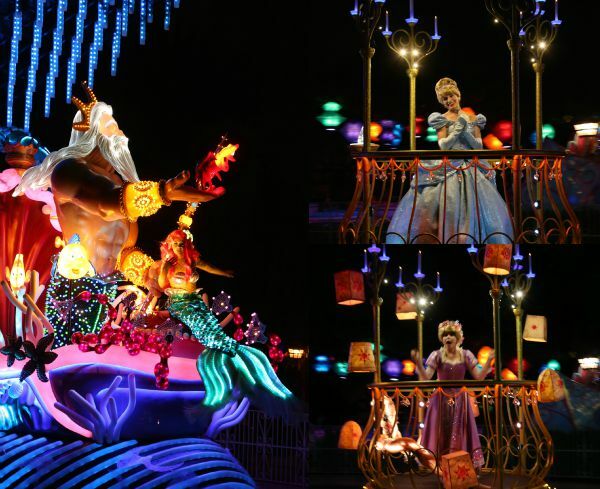 And….one last “tip” for enjoying the parade and all the other new nighttime spectaculars at Disneyland is that you REALLY need to plan AT LEAST 2 nights in the parks to see all the new shows! As I shared in our 60th Anniversary overview post, all the new shows are AMAZING! You really should make time to see them all. But, you absolutely cannot do World of Color, Disneyland Fireworks, and the Parade in one night. 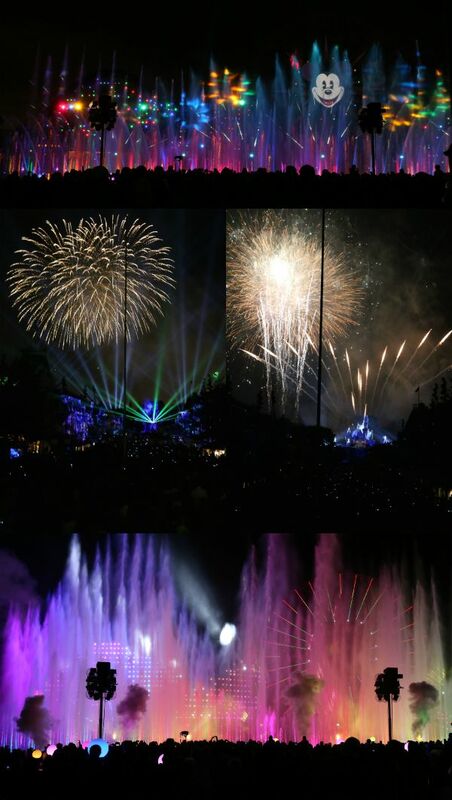 However, if you move quickly though, you CAN view World of Color and make it over to Disneyland immediately afterward in order to catch the second parade! 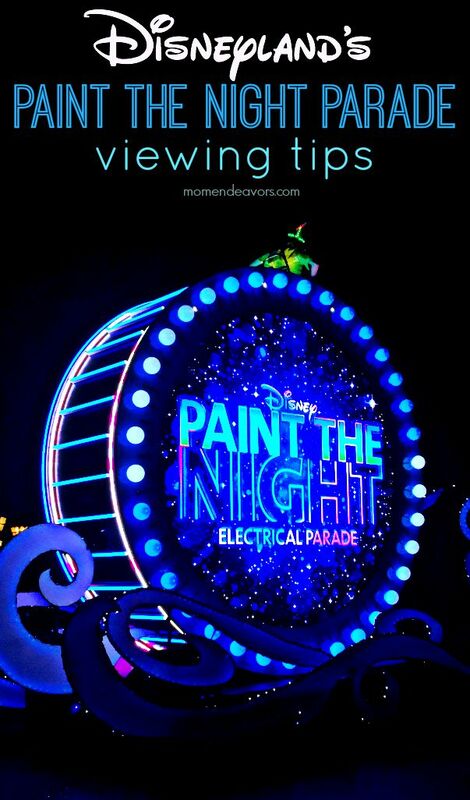 Have you seen Paint the Night yet? If you have additional tips to share or questions, please share them in the comments below! Disclosure: I was provided with tickets to the park as part of #D23Expo trip. However all opinions, experiences, photographs, and love of Disney are entirely my own! LOVED the new parade and fireworks! And I’m not usually one to watch parades and fireworks (don’t get me wrong, I like fireworks, but I’d rather go on rides). I’d heard so many good things about them, that my friend and I made a special trip after work just to watch them. I will definitely make a point to watch them again and from a different vantage point (we watched from Main Street).